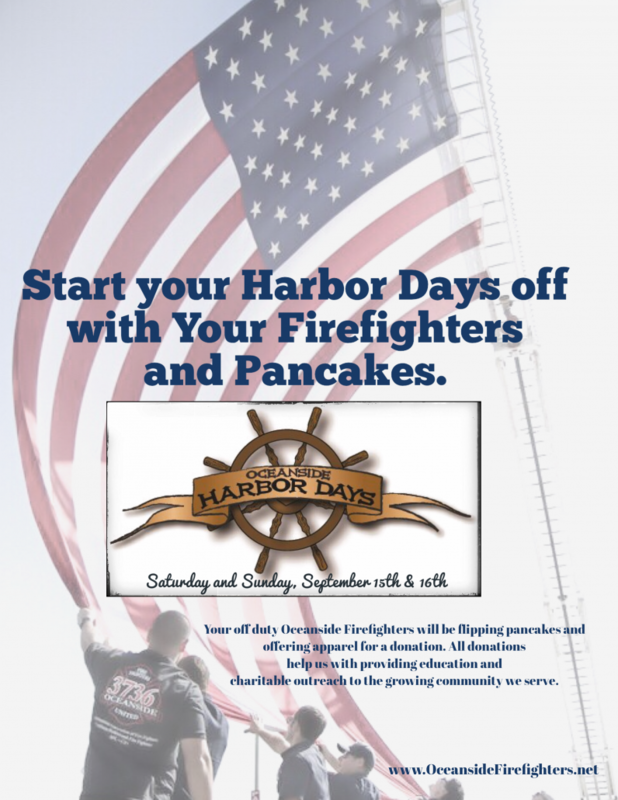 Start your Harbor Day with Pancakes served by Oceanside Firefighters. 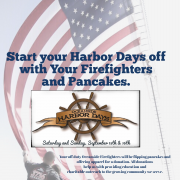 Harbor Days is Saturday, September 15th, and Sunday, September 16th, in Oceanside Harbor. TWO DAYS, PACKED with ACTIVITIES, ENTERTAINMENT, FOOD, SHOPPING. Two event filled days of sun, sand, and surf provide an outstanding opportunity for residents, visitors and neighbors to experience fun activities including a costume party for kids 12 and under (accompanied by parents) at Pirate Village, Arts, Crafts and Food booth areas, Nail ‘n’ Sail Competition, Military, Public Safety displays, music, a beer garden (patrons 21-years old and over with a valid ID showing proof of age required to enter) and more.